True mistress of couture who was considered a genius by her peers, Madame Grès (1903-1993) influenced the history of fashion. A special exhibition at the Bourdelle Museum. This is the first Paris retrospective dedicated to Madame Grès (1903-1993). 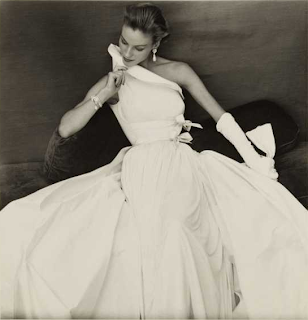 A mistress of couture who was adored by her peers, Madame Grès repeated throughout her life, “I wanted to be a sculptor. For me, working with fabric or stone is the same thing”. In the world of fashion, she was the pioneer of an intransigent minimalism. The sculpted dresses of Madame Grès have found a home at the Bourdelle Museum. The exhibition showcases 80 creations from the collections of the Galliera Museum, as well as loans from private collectors and contemporary designers. Read more.